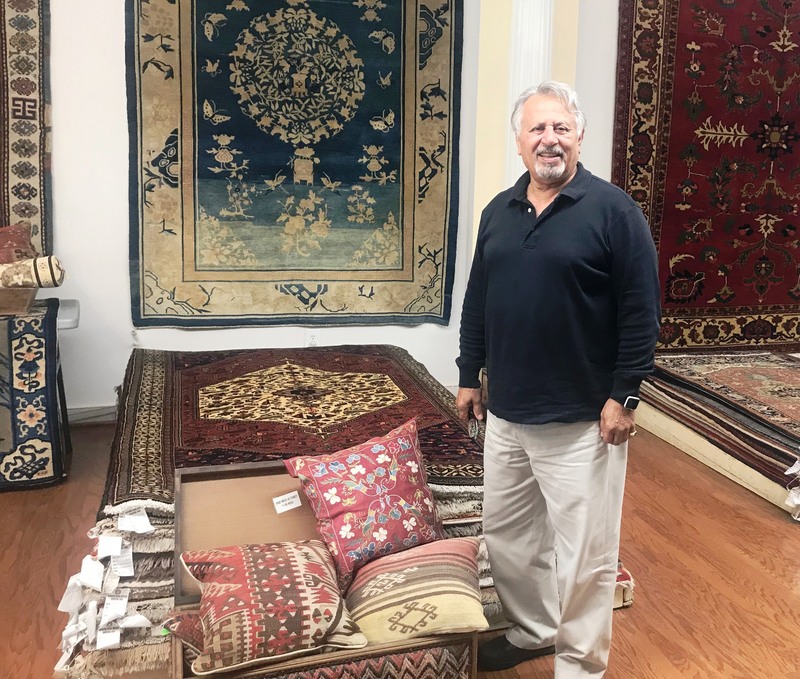 Small Business Profile: David Zahirpour Oriental Rugs, Inc.
David Zahirpour Oriental Rugs, Inc. has imported and cared for Washington, DC’s classic floor coverings for 35 years. 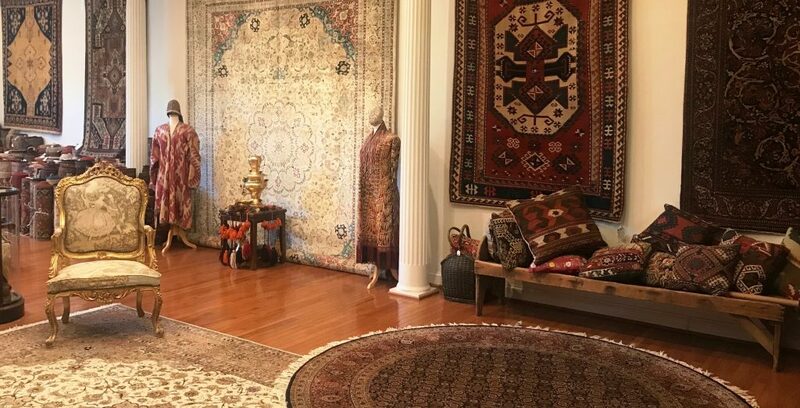 Open the door at 4922 Wisconsin Ave. and you enter an expansive, 2700 sq ft showroom of exquisite oriental rugs from Iran, Azerbaijan, Turkey, India, and elsewhere. Rugs of varying sizes are beautifully displayed, featuring the rich colors for which oriental rugs are known. While the showroom is open and bright and the rugs gorgeous, the true delight of the store is owner David Zahirpour. He immediately welcomes guests with warmth, and invariably will remember your name or face, even if he’s only met you once or twice. But it’s not just his friendly demeanor that draws clients from across the greater DC Metro Area. Zahirpour is a noted expert in his field, with nearly 50 years of experience; he opened his first showroom in Milan, Italy in 1969. He has lectured at the Smithsonian, international conventions, and local oriental rug associations. For decades, he was the rug purveyor of choice for the White House. Zahirpour prides himself on quality restoration with a keen eye for detail that is required for intricate oriental designs. Restoration is done on site in the showroom and a lower level workroom. Cleaning is also done on premises. But don’t expect to see hi-tech metal machines. Each rug is cleaned by hand using traditional methods to carefully wash and dry his clients’ valuable rugs. Zahirpour’s outstanding reputation attracts customers, and his personal attention keeps them loyal over decades. He personally delivers or picks-up rugs within the DC area and keeps a close eye on every aspect of his business from restoration to repair to cleaning. Former DC-based clients have moved across the country but continue to work with him despite the hundreds of miles between them. “If you establish trust, they [your customers] will stay with you,” says Zahirpour.